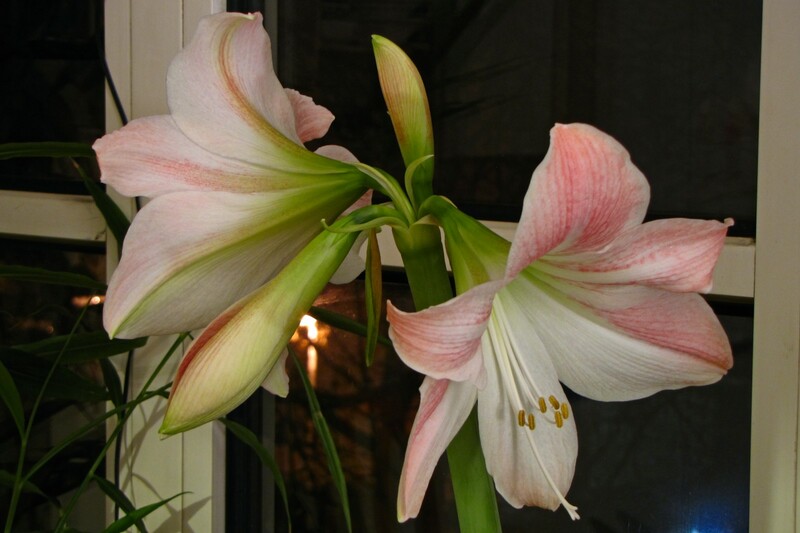 Sadly, this might be the last good photo of this Amaryllis. I took this last evening, but sometime later it had an accident – apparently the stem buckled at the neck and the whole flower crashed to the floor. It would have survived the fall if the stem wasn’t damaged – I wrapped some duct tape around it to keep it up, but it looks like the flowers are already wilting. We’ll keep it around to see if it improves – and there are already two other new Amaryllis plants growing to take photos of!